Discussion of the ore-controlling factors of Sareke copper deposit in Xinjiang LIU Zhonghua;LU Junji;HU Yuzhao;JIANG Xiaojun;Yunnan Metallurgy & Resources Co. 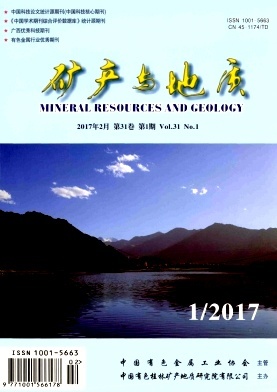 Discussion of geological characteristics and deep ore body prospecting of Sigou lead-zinc deposit in Shaanxi WANG Zongke;LIU Ping;WEN Shenwen;ZHANG Xuangu;Baoji Northwest Nonferrous Metals 717 Geology Team Co. Comparison study of tin polymetallic orebody and skarn zinc-copper orebody in Tongkeng deposit in Dachang ore field,Guangxi DONG Congfang;YUAN Yuan;CAI Minghai;Guangxi Huaxi Group Co.